Detachable 2.4GHz radio transmitter. Wireless triggering and power adjustment. 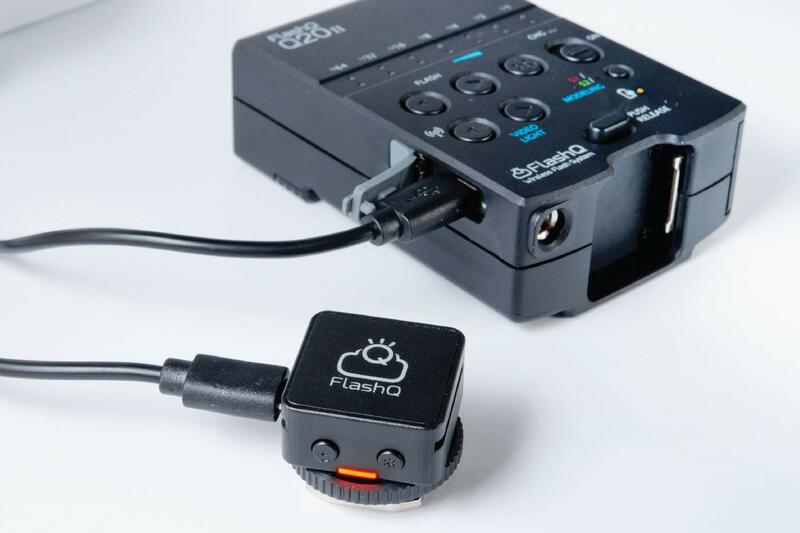 Control up to 8 Flashes Simultaneously. 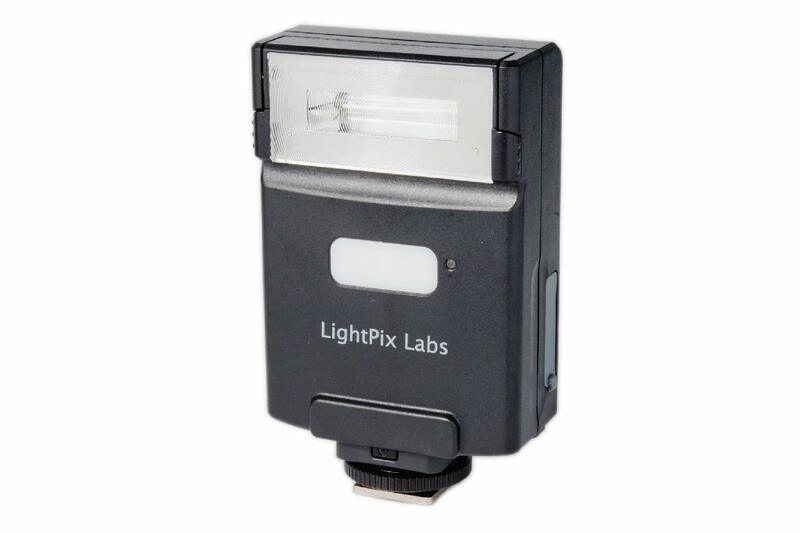 Manual Flash Control 1/64 to 1/1, and LED Video Light with 7 Output Levels. Optical Slave (S1, S2) functionality. 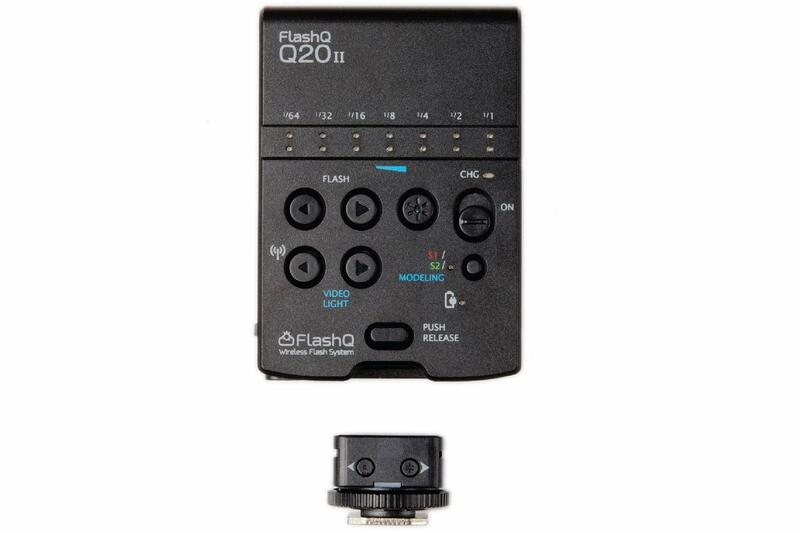 A complete wireless handy flash unit, FlashQ Q20II, is a full featured GN20 flash with detachable radio transmitter, LED lighting, flash head tilting and built-in gel holder. 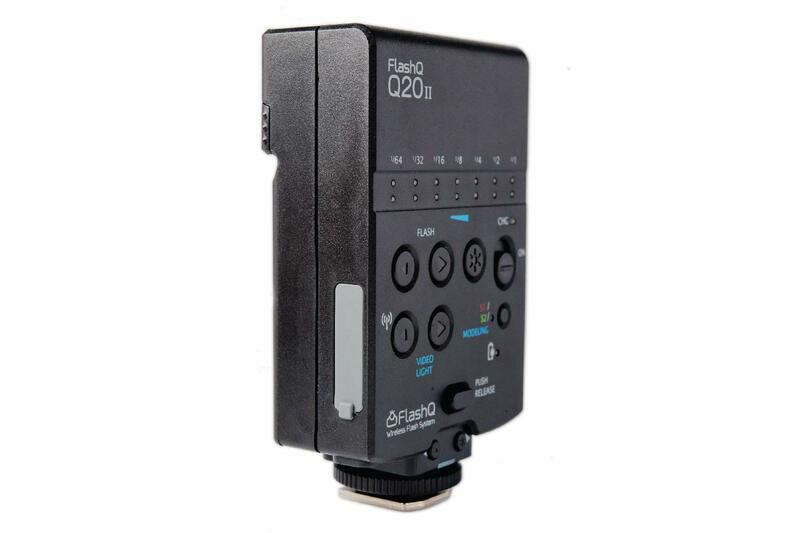 It is convenience to charge Q20II with standard USB power sources, e.g. computer port or USB adapter. 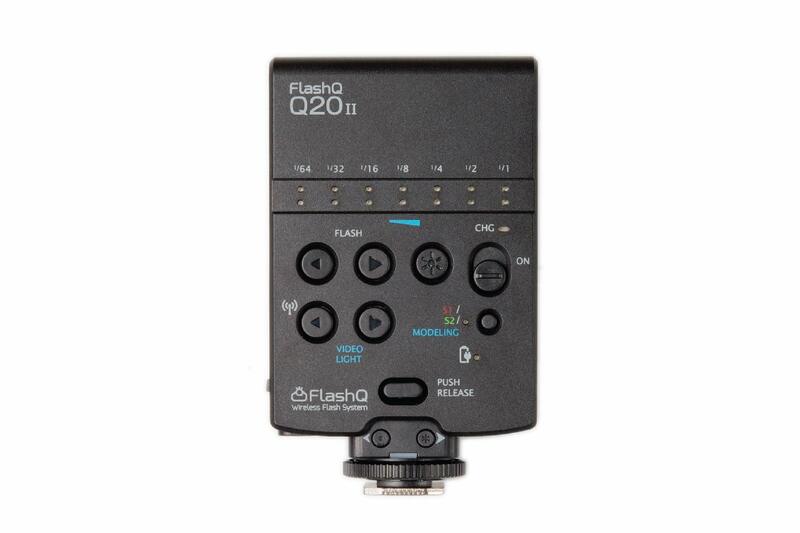 Just make certain to use rechargeable Ni-MH batteries on Q20II flash body. * AA batteries is not included. T2 Transmitter with built-in Li-ion battery, rechargeable. Built-In filter holder and gels included. 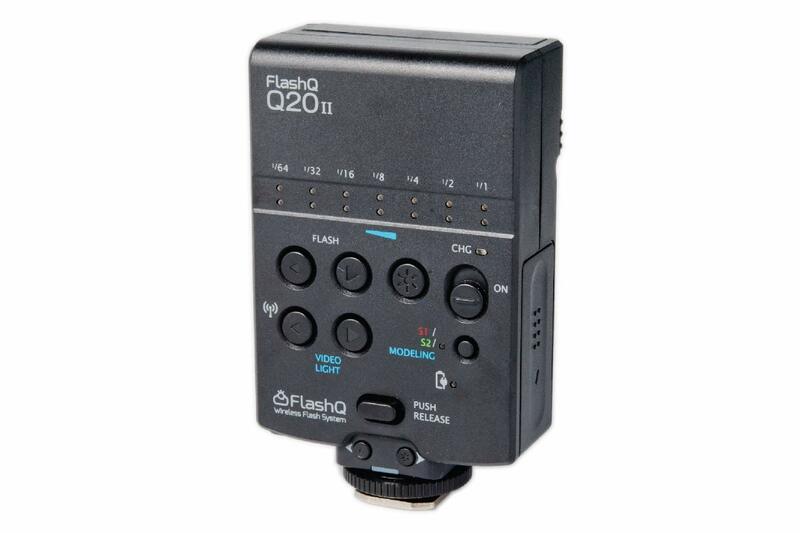 Flash head tilts upward 90°. 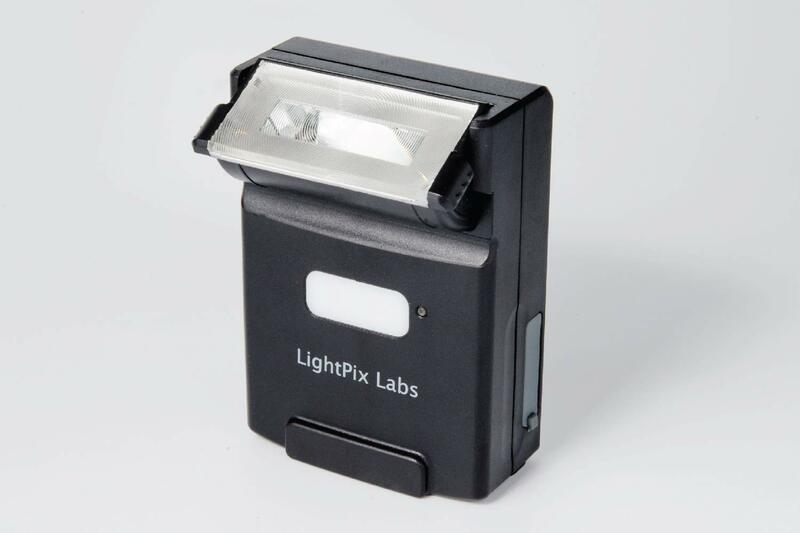 Rectangular shape with 1/4″-20 tripod mount. Keeps away from children. This product contains small parts which may pose choking hazard. Return to manufacturer for repair service. Replacement parts provided free the first year.